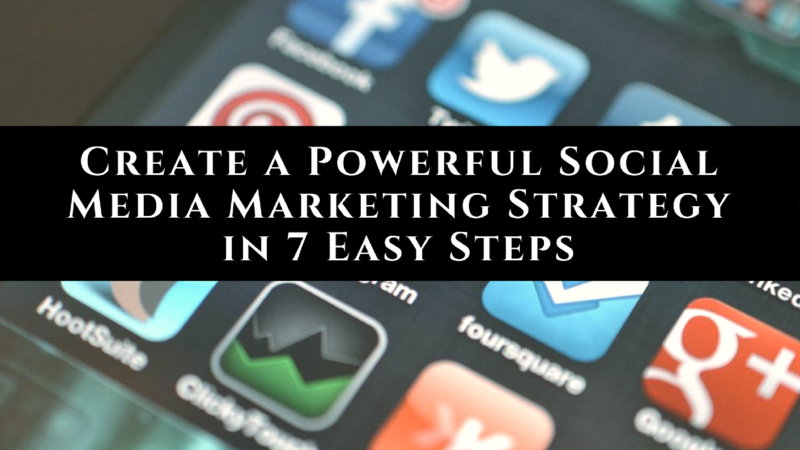 Are you struggling with creating an effective social media marketing strategy? One that both fits in with your schedule and still provides massive value to your audience on a consistent basis? If you’re just starting out and feel a bit overwhelmed (and excited) about all of the potential possibilities, but you just can’t figure out where to start or how to put the pieces together, well you are in the right place! In today’s post, we will be sharing our top advice for creating a highly effective marketing strategy that works no matter which social media channel you primarily use for your business. Do not approach your social media strategy blindly. Without knowing where you want to go or what you want to accomplish, how will you ever get there? You need to set aside time to truly figure out exactly what it is that your business needs and how social media can help fill that need. This is actually the part where most people completely blow it. They come in with a very vague vision of what they want their life to be. The truth is that this can be a pretty bumpy road. There are ways to make it an easier ride, using tools and implementing training by those who are where you want to be. However, it’s rarely smooth. Which means that you need a crystal clear vision of WHERE you want to be. This vision ill get you through those times when things aren’t working out. 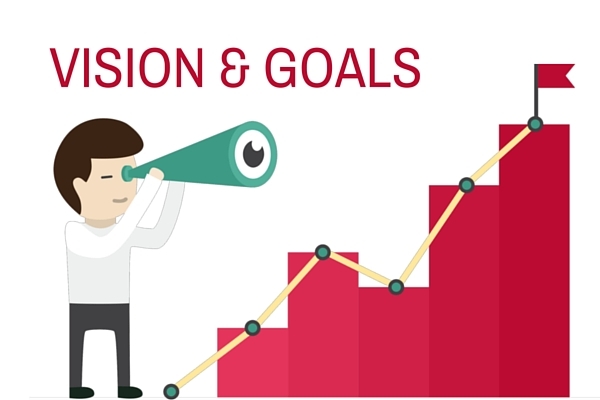 How to Get Clear on Your VISION & GOALS to Drive Your Social Media Strategy Forward! One of the best things you can do before even getting started is to sit down and really map out exactly what it is you want to accomplish. It is incredibly easy to get lost in the sea of social media and you want to be sure you use your time and efforts wisely. You want to be extremely clear on your vision. Instead of saying “I want to make a lot of money”…how much is a lot? What’s the number? By when will you have it? What will you do with it when you have it? What will it feel like? How will that change you? What feelings will you have once you HAVE it, that you’re not feeling now? Freedom? Peace? Gratitude? Instead of saying “I want a nice(r) house” what does the house look like? Where is it? By the beach? Lakefront? In the mountains? Who will live there with you? How will it feel to wake up in this house every morning, or go to sleep every night in that house? To help you map out your goals, we have made available to you an insert from our MLSP Mentorship 6 Pillars of a Profitable Online Business document. You can get the PDF below – be sure to print it out and COMPLETE it to help you with your vision. Hopefully you’re seeing that generalities do not work with your vision. You need details so that you experience NOT just the appearance of these things…but more importantly the feeling. Etch that into your bones. That’s when this vision drives you through blood, sweat, and tears. Let’s be completely honest. If you’ve never looked at your vision through this lens before, then this may seem extremely odd. It may feel weird. And that’s okay, because it’s usually those things that make us feel the most uncomfortable that we need the most right? It is incredibly easy to get lost in the sea of social media and you want to be sure you use your time and efforts wisely. Are you looking to generate more leads? Do you plan to use social media for customer outreach? Or maybe you plan to use it to increase brand awareness? Or very likely all of the above! The main thing you want to keep in mind is that your goals should be measurable in some way. If you want to generate more leads, what is your daily, weekly, or monthly goal? If you plan to use it for customer outreach, will you use a feedback or rating system to measure results? Or if you plan to grow your audience and brand, you might measure your results through the amount of new fans or followers to your page or clicks to your website. Focus on 1 to 3 main goals to start, get some results, and scale up from there. Defining your audience and truly understanding who you are creating your content for will help determine where you should be promoting, creating more engagement, and increasing conversions. This is because you are creating congruency in your messaging. Where do they work? What do they do? What is their income level? What kinds of interests do they have? Personal and business? What are some of their struggles or pain points? What kinds of obstacles or objections might they have? What are their habits, likes, and dislikes? The more clear you get with your answers, the more you will be able to fine-tune a marketing plan that perfectly suits their needs. This helps you determine the perfect type of messages to put in front of your audience as well as gives you great information about where these people tend to hang out online. The key to effective marketing is simply delivering the right message to the right person. Marketing is less about selling and more about solving problems. Let's face it, if your audience didn't have problems, they wouldn't need your product. And that goes for any market. Many people lose a lot of money and time by trying to market their product or opportunity to the wrong audience. It's like the old cliché of “selling ice to Eskimos”. You'll probably do a lot better with a soup stand when you're selling to Eskimos rather than a snow cone stand. Let's use MLSP as an example to keep things simple. If you became an affiliate for My Lead System Pro today and you were planning on marketing the membership to earn commissions… you would want to research exactly what MLSP offers. There's plenty more but this is just for simplicity sake. Features are great, but they don't tell you EXACTLY who might want your product, because they don’t tell you exactly why your target market might want you product. In this case, MLSP is the product. So let's continue with this example and transform those features into benefits so we can get closer to who we want to pinpoint target. To keep it simple we'll use only ONE of the features we listed above. What are some benefits prospects can get because of this training? ** Newbie friendly training from leaders in the industry: Which means even the NEWEST marketers can use the information to start building their business. ** Training that covers every major and effective marketing web and social platform: Marketers can use just one, or any combination of marketing platforms to get leads including Blogging, Facebook, YouTube, Twitter, Instagram, etc. 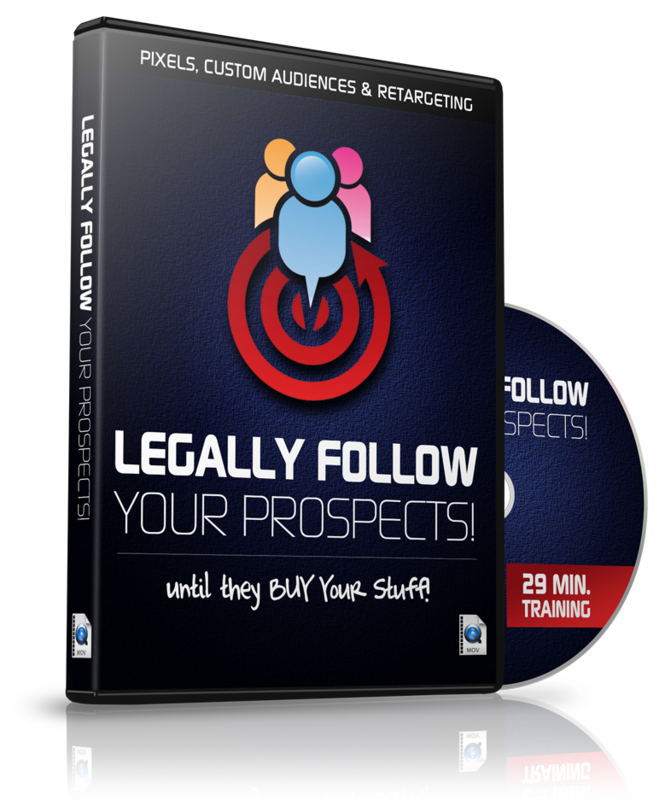 ** Training which teaches you to ATTRACT the most targeted leads: Prospects can get leads coming TO them, instead of having to chase people. People who are tired of chasing leads and want to learn attraction marketing. But that is very wide net to cast, and in doing so you'll waste a ton of time and money trying to capture the right people. Now by doing this exercise, you've narrowed your options (which is a good thing in marketing) and now have a better idea where to start, and you can even start thinking about ideas for content. However it goes even deeper in step 2 with a different example to make sure you get it. It's amazing how many people either skip this step, or don't research it deep enough to know exactly who to go after. One of the big problems that marketers run into is they think that EVERYBODY will want their product or service because it’s so great. Or will want to join their opportunity for the same reason. It's a nice thought, but when you market to everybody you're marketing to nobody at all. So you must pinpoint those people who would need or want your product most. A hungry market! 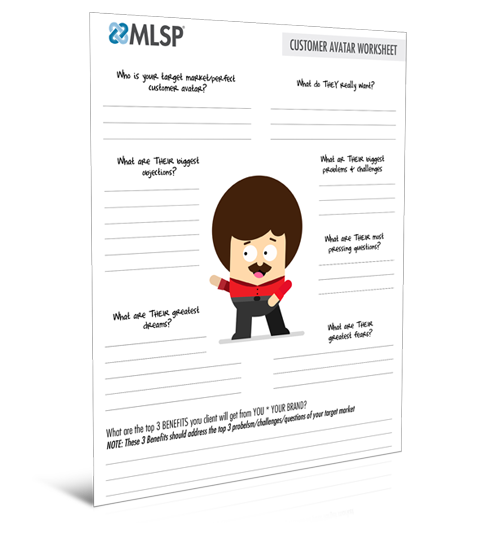 To get you started with defining your target market, you can download this Customer Avatar Worksheet that should get the mind working on figuring out exactly who your social media marketing strategy should be targeting. These are just a few of the questions you should be asking, but once you get these down, you are well on your way! For instance, if you've got a weight loss product, you might initially think that finding overweight people who want to lose weight should be pretty simple. It's a common problem, there's a lot of potential people out there, and everyone should want to lose weight if they're overweight because it’s not healthy. However, not everyone does want to lose weight. Some people could care less about how much they weigh. They're happy with themselves the way they are, and they have no motivation to even try. And that's fine, because that's not your best audience. Knowing that actually helps you. It would be an uphill battle to try to sell a weight loss product to them. To do so you'd have to do a LOT of convincing, and educating on WHY they should lose weight. That's a much longer process. But some people are EXTREMELY motivated to lose weight. They may have a wedding coming up, or a vacation planned, or may have just been warned by a doctor that not losing weight could have dire consequences. Which person would you rather present your product to? The person that's most ready to buy your product RIGHT NOW? Or the person that needs a lot of educating and convincing? Now let’s go back to the MLSP example from Step #1. You can drill down even further by finding out who's closer to the buying cycle. Or as it's sometimes called…the low hanging fruit. Want an example of who that might be? How about a network marketer who's already figured out that family and friends aren't as interested as they thought they'd be? Someone who's struggling RIGHT NOW with HOW TO market their business online, and are doing things completely wrong. And therefore getting no leads. Couldn't MLSP training be the solution for them? By targeting them, you'll likely have to do much less convincing, which means a shorter sales process, which means faster profits. After reading the above, you've probably got a good question going on inside your mind right now about target marketing. Every niche market has their favorite hot spot that they like to hangout. Why? Because birds of a feather flock together. Let’s look at the golf for instance. Golfers like to watch golf, read about golf, watch videos about improving their game, learning about new golf clubs, balls, swings, etc. But let's narrow down a bit where we can find these golfers. Golfers are typically a bit older. Maybe retired or nearing retirement. If they are not retired, they might be more professional, maybe even playing golf over business deals. It’s therefore easy to guess they're probably not hanging on Snapchat with the kids. OR inside a golf group inside Facebook. People in the golf market age bracket are comfortable with FB where they don't need their kids or grandkids to show them how it's done. Why the heck are we talking about golf? Well first of all…it's a market that likes to spend a lot of money. But more importantly, it's to show you how to hone in on where your target market might be. What Does Your Product Do and How Does it Benefit People? Who's the Most Ready to Buy Your Product or Join Your Opportunity? You may even find that you have a few different types of avatars for your business, which is totally fine. Just try to focus on one or two main types to begin with and work from there. This is a step where many people start to unnecessarily overwhelm themselves by believing that they need to market across every platform. Believe us, we want to jump in on everything as well, but early on we learned the importance of focus. While it is awesome to have a presence on all of the social media channels, it is really important to keep your focus. What Is the Best Platform for Your Social Media Marketing Strategy? Luckily you now know how to figure that out a little easier because of the 3 steps above. These days there are various social media platforms to choose from. At MLSP we always recommend starting with and mastering 1 platform, and then you can transition into others. Some things about your target market to consider when choosing your social marketing strategy platform.. The level of engagement available on the platform. 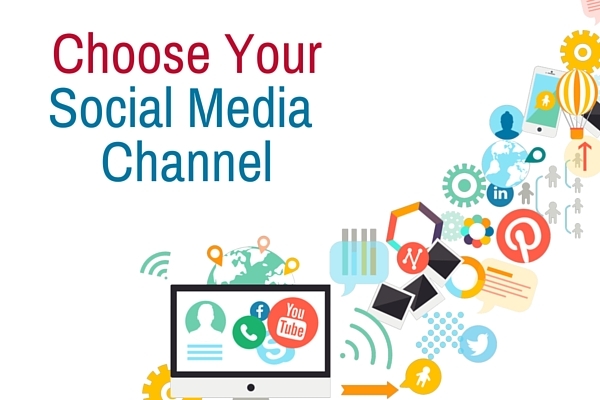 What Social Marketing Platform Choices Do You Have? The truth is that there are tons, however we want to make sure the pool of prospects is big enough to actually find your best prospects. Therefore to make it easier on yourself you'd likely want to choose one of the following. With 2 Billion Users, plus the ability to engage with your audience in various ways including: posts, comments, likes, FB Messenger, Live Videos, Paid Ads… it's hard to beat Facebook's reach at this time. This makes it well worth spending the time learning how to use this social network. This is a micro-blogging platform which has approximately 330 Million Active Users. Twitter allows you to communicate through posting, commenting, liking, and direct message, as well as paid ads. The lower reach gives it a disadvantage to Facebook, as well as the limited characters you can use with each post. You'll also find that the greatest majority of people are 30 and younger, though an older crowd is starting to come over. There are 700 Million Users on Instagram. You can engage on Instagram by posting images and short videos, commenting, direct messages, and posting stories. The age demographics on Instagram quite is a bit lower with most of the users under the age of 35 at the time. If you want to dig in even deeper, the team over at Sprout Social did an incredible roundup of statistics you can see in the infographic below! Most likely you'll eventually dive into more than one of these platforms, or even other notable mentions such as LinkedIn (which is a social network for professionals). Still Confused and Overwhelmed Where to Start? Confusion and overwhelm will kill your business faster than anything, and we can't have that. So here's an easy solution if you're really feeling stuck. Start with Facebook! The reach is massive, the age group is spread out, and truthfully plenty of MLSP top leaders have started with and stayed on Facebook. Meaning it’s what they still solely use now… and earn multiple six-figures a year from home. Start there and you'll find prospects from nearly any marketplace you choose. That being said for much of this article, we'll use a lot of examples from Facebook. As you continue to build your business and grow your audience, you can always add the other social media strategies at a later point. You want to factor in both YOUR personal preferences and the preferences of your ideal prospect to find a winning channel. If it’s something you enjoy doing, you will be much more likely to stick with it. Now that you’ve researched and brainstormed, let's move on to the next step in your social media marketing strategy. It’s time to map out a social media content strategy. Creating content without purpose is a lost cause. You might get some likes and shares but if you want to create measurable results, it is crucial to create and post with purpose. When it comes to putting together an effective social media marketing strategy, one of the key things that you'll want to remember is that your purpose is to ATTRACT the people in your target market to you, through your content. By now, you know who they are, and what they want. What's going to make them believe that YOU are the right person for them to buy from? What will make them want to join YOUR business opportunity? Become an AUTHORITY in your niche market. You become the trusted source of information. This is the same with absolutely any content marketing strategy by the way. Whether it's on social media, your blog, or on YouTube. 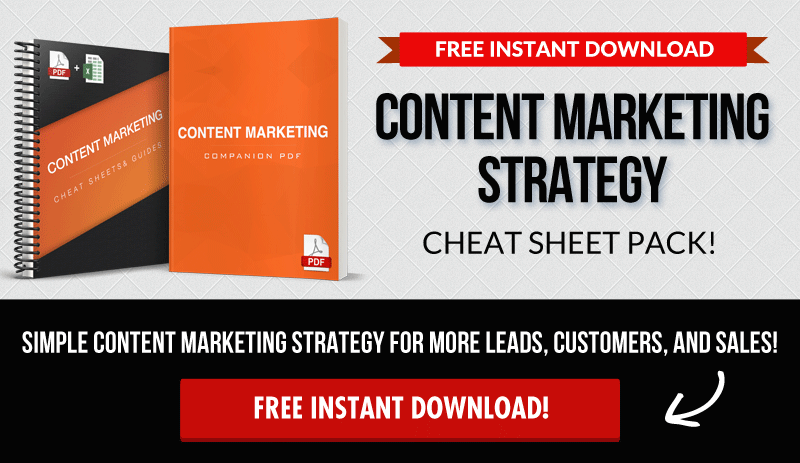 You want to start getting people coming to you because of the content that you showcase. What's the Purpose of Your Social Media Content? It's actually pretty simple. It's one of three things that you're trying to achieve at any given moment when marketing your business, and as long as you know that, you can always stay on track. Most people tend to over-complicate everything when building a home business. The fact that you're reading this now will save you tons of time, headache, and heartache in the future. You Must ALWAYS BE BRANDING ‘YOU’ as the AUTHORITY in your Marketplace. On social media, “Build Your Audience” means building the number of people who follow you online. When you ‘Engage your Audience”, this refers to the way you interact with them on your chosen social platform. And “Sell to Your Audience” obviously means when they buy your product, service, or join your opportunity. All three of the above are done through content. The internet runs on content. This can come in many forms. It can come through text posts, images, video marketing, Live Broadcasts, Facebook Messenger, Twitter Messenger,etc. So if you have no audience yet, that's the first thing you'll want to start building. As you build that audience you'll want to add in steps to engage with them, and as you start that, you'll start selling to them. The way you present yourself online matters. IMPORTANT: The way you present yourself online matters. You're building YOUR BRAND. Your first impression counts. You'll want to make sure you're coming across as a credible authority. Of course that doesn't mean you can't be yourself, but it does mean that you'll always want to put your best foot forward, and let your personality shine through that lens. This builds that KNOW, LIKE, and TRUST factor that’s critical to being able to convert prospects, into leads, and into customers. Your brand means everything, and if you tarnish that from the beginning, your audiences judges you (like it or not), and therefore you're simple shooting yourself in the foot from the get-go! This means you'll want a professional looking Facebook page. The Video Below Will Show You How to Present Yourself on Facebook as Someone That People Will Want to Follow! If you're marketing on Twitter, you'll want to make sure your profile page looks professional and again, that brands YOU as the person that someone in your target market would want to follow. A welcoming banner that gives prospects an immediate idea of why they should follow you. In step 3, which social media channels did you choose to focus on and master? Now choose some leaders in your industry who rock that strategy effectively and start to follow and engage with what they do on their channels. What kinds of content does their audience love? What kinds of images or videos do they share? Take note of anything that stands out and use what you learn as inspiration for choosing and creating your own unique content for your page (whether it’s Twitter, Instagram, Facebook, etc). If you're going to be effective at marketing your business online, you MUST be insanely consistent. Consistency is the key to winning at this game. You have to show up every single day, rain or shine, even when you don't feel like it. However there ARE ways to make it a bit easier on yourself. One thing you can do is actually plan out your topics for the week or month. Do you have any special promotions happening that month? Is there a certain marketing strategy that you want to share on a training? One great thing about the MLSP system is that you can always leverage the back office, live training, and wake up calls to help come up with topics. You can listen to an MLSP Wake Up Call and turn part of the message into an image quote crediting the speaker. 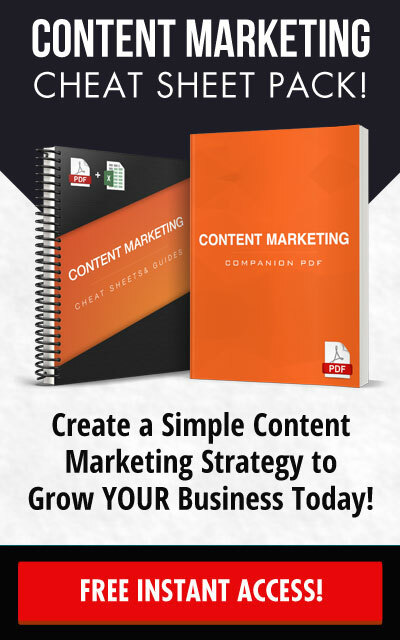 By knowing the social media channels you want to master and exactly how often you want to post, it will make it very simple for you to just map out a large amount of content ideas in one sitting. This will allow you much more time for actually promoting your content and building relationships. This is an area that many people struggle with simply because we often feel like we need to do something the same way other people are doing it. But the reality is that we don’t all have the same schedule, lifestyles, and responsibilities. It is most important for you to figure out a workflow that suits you and your family, even if that doesn’t fit the mold of everyone around you. Do you have a job that takes up good part of your day? Or children at home who keep you busy? Do you find you work best when you have uninterrupted long stretches of time? You might be someone who benefits from doing batch-work and scheduling out your content daily and weekly. If you work from home full-time and find you work better on small projects or work best at a certain time each day, you might find it’s easier for you to create your content fresh daily. This also works well for someone who really knows how to maximize those extra pockets of free time in your day. Or you might be like us and find that a little bit of both works best. What we do is create a master list of all of the tasks we need to do get done for the week (in regards to our social media marketing plan) and we divide up the tasks based on batchwork and daily tasks. Here is an example of a daily/weekly checklist you might use to keep track of your tasks. You would simply just “X” out the tasks as you complete them. Some might be daily and others you might find you only need to do a few days a week. But the more organized you get with your plan, the easier it will be to execute! For example, if you plan to post on Facebook 6 times per day, you know that you need 42 Facebook posts for the week. You can then separate those posts into different types such quotes, images, promotions, videos, blog posts, and more depending on your niche and then you can create the posts all in one sitting. Whereas tasks such as promoting our blog posts, connecting with new leads, or growing our Twitter following are things that tend to happen daily as opposed to batchwork. Remember in Step 1 when we talked about setting MEASURABLE goals? Well in Step 6 it is all about tracking and optimizing those metrics. If your goal was to get 50 new fan page likes per week, you can easily use Facebook’s data to ensure you are reaching that goal. The same thing is true for all more social media platforms that provide data for your business. For example, Twitter, Instagram, and Pinterest all make it super simple to see your growth and analytics. However for things like website clicks, new leads, and sales conversions, you want to make sure you already have the proper tracking in place before going into full blown promotion mode. As an MLSP member, what’s great is that all of that is already included. Whether you use custom links or system campaigns, you are able to track the impressions, clicks, leads, and sales. If you are using your own links or sites, you can use link trackers (such as Bitly) in order to gather your data. If you plan to use Facebook marketing as one of our primary methods, you can also utilize pixels on your site in order to track all of your visitor data so that you can optimize your campaigns and get better results. Pixels, custom audiences, and re-targeting – if you're unfamiliar with these terms, this free video will save your life… After this, you will be able to add audience pixels to your websites today, and legally follow your prospects all over the internet until they buy your stuff! The main thing to keep in mind is that much effort is wasted without tracking. Know exactly which actions are producing the best results and put your focus there! 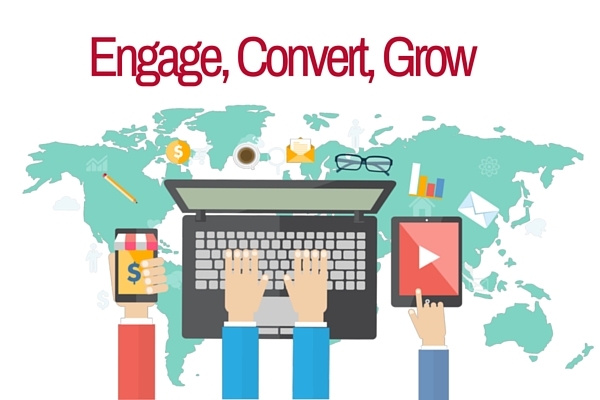 [Step 7] Engage, Convert, Maintain, & GROW! As your systems are set up and you are releasing content consistently you can start to focus your efforts more on engaging with prospects, increasing conversions, being consistent with the tasks that are working well, and figuring out new ways to grow from there. Remember that creating content in advance or scheduling your social media posts is in no way meant to replace human interaction. In fact, the goal is to free up more time to make that engagement stronger. As your posts go out each day, be sure to pay attention to comments, messages, or engagement from your audience so that you can actively respond to them. Another benefit of getting your content created in advance is that you can also spend time optimizing it for conversions. As you start to get some tangible results, you can then use those results to determine if you need to change anything in your content or funnel in order to get more leads or sales. Social media can be an extremely powerful tool to grow your business online IF you equip yourself with the right plan, right tools, and right mindset! We hope these 7 steps help get you started in the right direction and defeat any overwhelm you may have been feeling. Remember that no plan needs to be permanent. A social media marketing plan will always evolve and change as your business grows and you learn what does and doesn’t work, but having the plan in place creates a strong foundation from which to build. The more clear and strategic you are, the better your social media results will be! ACKNOWLEDGEMENT: We want to acknowledge and honor our dear friends and top affiliates Dustin & Tracy Wisnowski for providing some of the training above so that we could serve YOU, our beloved audience. Dustin & Tracy have been a part of the MLSP Family for years, and continue to serve the MLSP Community with incredible value. Dustin & Tracy, thank you for all that you do to help the MLSP Community get better and better every single day! Do you struggle with creating an effective social media marketing plan that both fits in with your schedule and still provides massive value to your audience on a consistent basis? 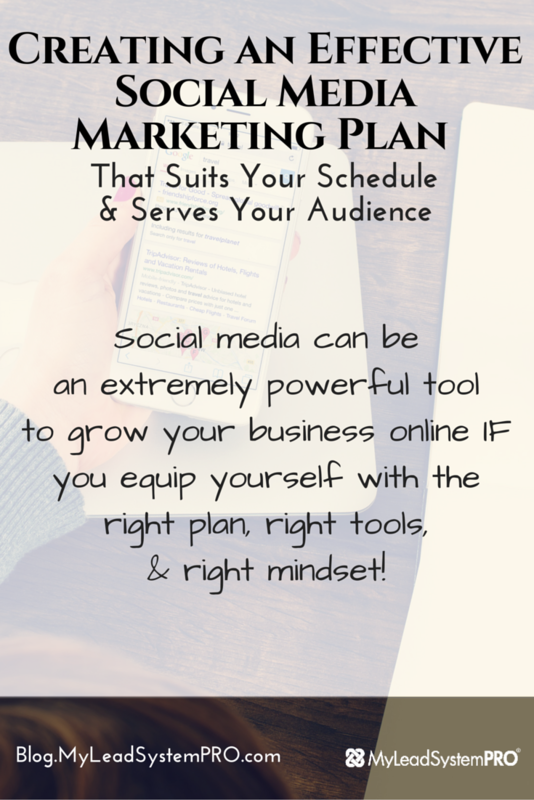 This post will help you create an effective social media marketing plan no matter the social media site you choose! What a great post. I keep on learning every stinking day!!! Thanks for sharing awesome tips that can help one to improve on marketing. Great steps. I like the questions that you outline to answer each part. Thanks. Nice article you’ve written, really helpful! These are amazing social media tips! I found some really good points with which I’ll work on my blog. Maybe you are also interested in a time saving tool to share your own articles to social media. Have you ever heard of Blog2Social? It’s an easy tool to schedule and post automatically to the various social media, while at the same time it allows you to customize your postings for each network’s requirement. Also you can select the image you like to go with your post. This is Really Good article..
Glad you got value from it! We hope you can use this information to create your own social media marketing strategy!